Nail care is essential to have healthy beautiful nails. My nails used to stain and so brittle when I wore nail polish everyday. Now I let my nails breath every 2-3 days before applying nail polish. I am not a professional manicurist, I am a nail polish enthusiast who loves to paint my nails. Click on the highlighted pink words to purchase any of the products listed. It is very important to moisturize your hands! I specifically use lotion products made for hands. I purchased the Sweet Sensations O.P.I. Avojuice lotions mini packs to try out the different lotions. My current favorite scent is the O.P.I. Avojuice Mango. 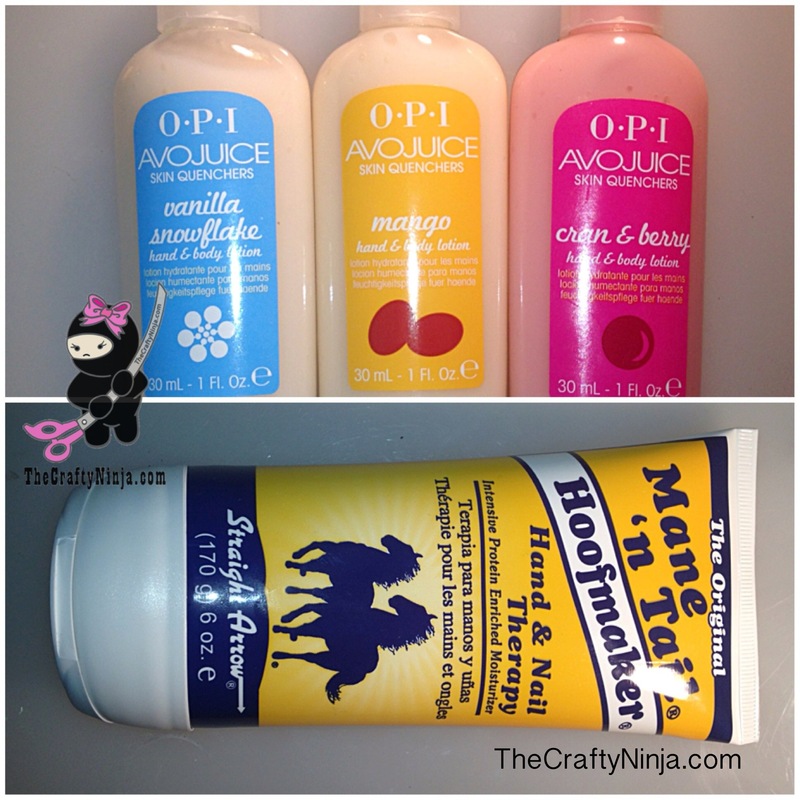 My all time favorite hand lotion is by Mane ‘n Tail Hoofmaker. This lotion is for hand and nail therapy and I use this twice a day, once at night on my hands and feet, and in the morning. It makes my hands and feet so soft and moisturized. This lotion has actually soften my feet and all the rough patches of skin. I never leave home with out using some type of moisturizer and especially after I wash my hands. I take off my nail polish with Pure Acetone and a cotton ball. I use cuticle creams and oils to moisturize my cuticles and keep them healthy. I also use a cuticle clippers to get rid of dead or dry skin around my fingers, making them smooth. I love Lemony Flutter by Lush. It softens my dried crack cuticles and puts moisture back into my cuticles. Its creamy texture is so fluffy and soft, almost like a marshmallow feel. This smells so lemony fresh! My favorite cuticle cream product out there. 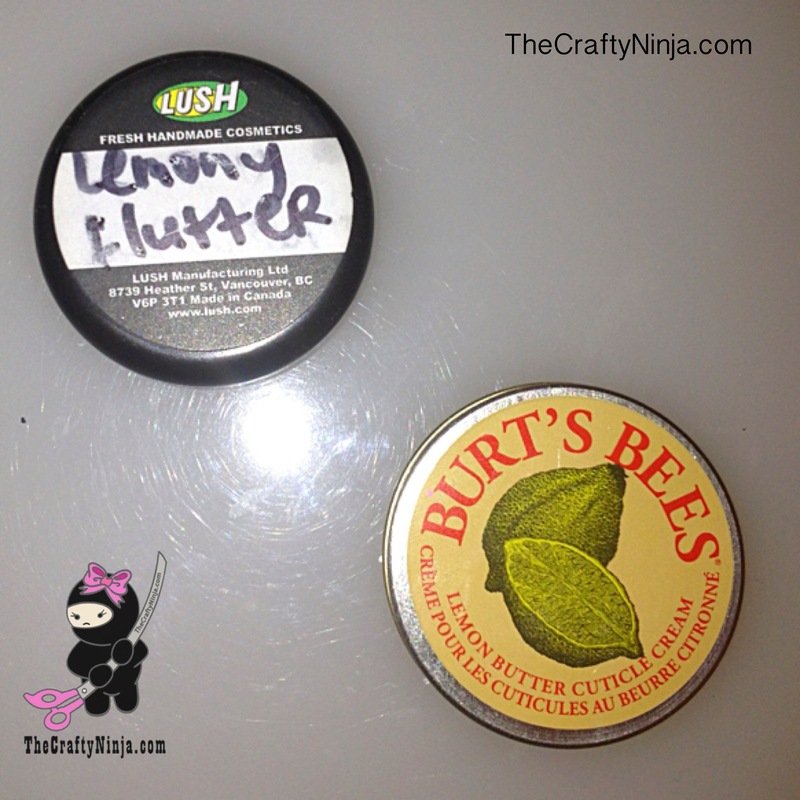 Burt’s Bees Lemon Butter cuticle cream is also another product I use for my cuticles. Its more affordable and my go to cuticle cream. The texture is more waxy but it still does the job. It also has a pleasant lemon scent and smooths and computerizes. Using a Base Coat and s Top Coat is very important in creating your best manicure. It makes your nails smooth and professional looking. I apply a Seche Clear Base Coat before I began my nail art. It is important to protect your nails with a base coat. This prevents my nails from less staining and also helps with my nail polish application. Update: I now use O.P.I Nail Envy, which is a base coat that strengthens your nails and can also be used as a base cost. This is what I now use as my base coat and also anytime after I take off my nail polish to keep them protected and strong. I’ve heard great review on Essie Grow Faster, which helps grow your nails as well as being used as a base coat. After every nail art design I apply my favorite top coat, Seche Vite Top Coat. 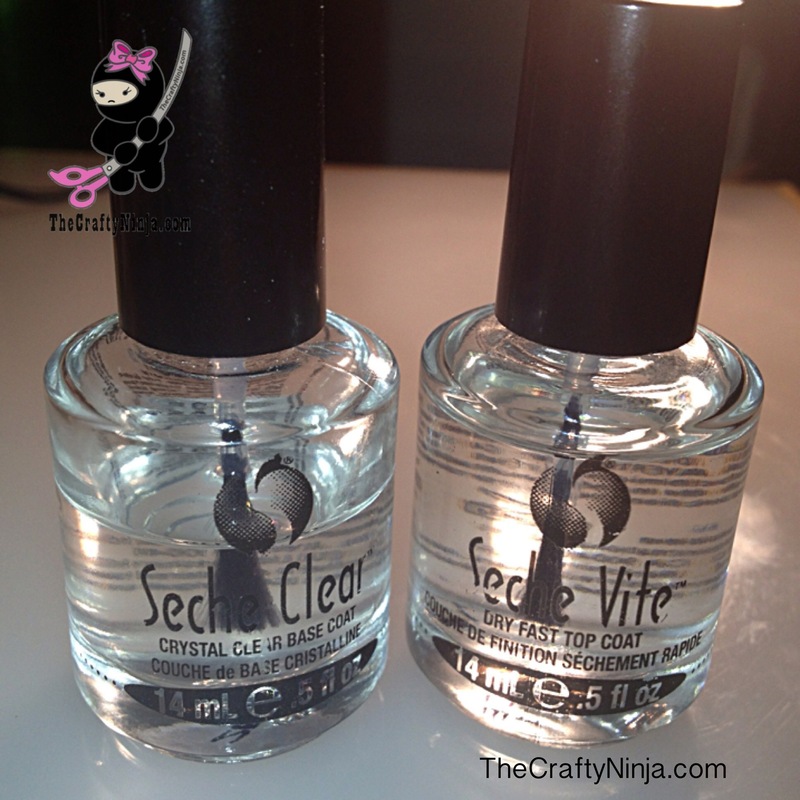 Seche Vite is fast drying top coat that quickly dries my nail polish. It also makes my nail design a more polished and gives it a beautiful shine. This is my all time favorite top coat, I love how it makes my manicure look. This Top Coat protects your nails from chipping and makes the nail polish last longer. Once Seche becomes low its starts to thicken, to restore it back to its original consistency you can add several drops of Seche Restore. I used to be so confused about the grit of traditional nail files. Some would be too rough or make my nails so brittle. I finally found a nail file that files away so smoothly without any damage to my nails. 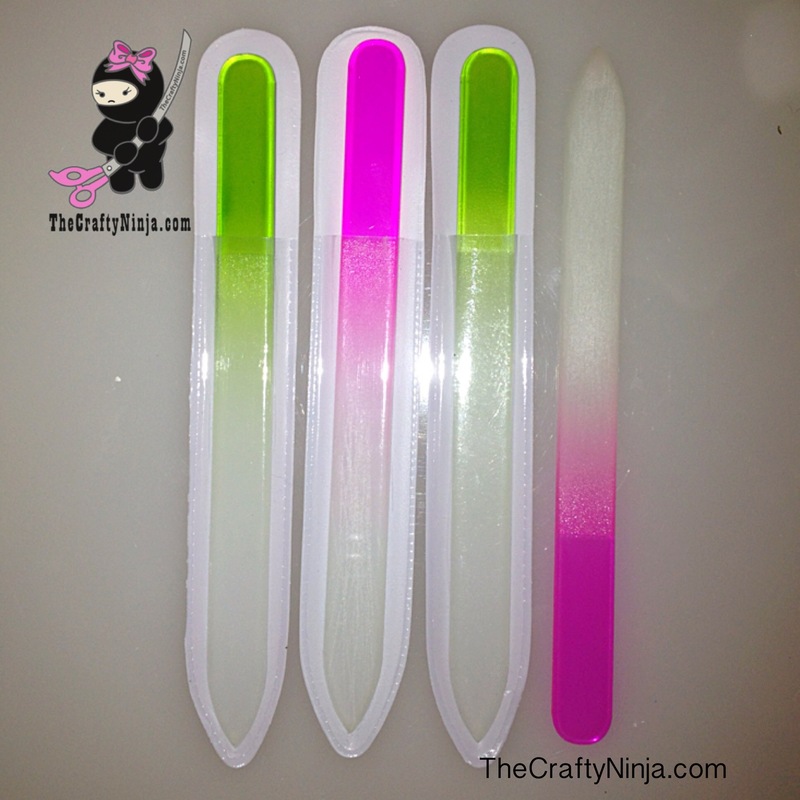 Glass Nail Files or also called Crystal nail files are very inexpensive and files my nails so perfectly. I like the grit and it’s not too rough and softly smooths and files down my nails. I recommend this file to any other nail file products. These files don’t last forever so it’s good to have several. I keep the extras at my work and in my purse because I’m always in need of a nail file. It keeps my nail shaped perfectly without any damage. It’s the perfect grit and creates the perfect nail shape in my opinion. I use Nail Paint Brushes for my detailed nail art designs. I love the MASH nail brushes with a carrying case. I use a variety of sizes and brush lengths when creating nail art. A set of nail paint brushes can open up a world of creativity to your nail designs. I also use paint brushes from the craft store in the paint department. I purchased the Royal Aqualon Detail Brush set. They have great precision when using acrylic paint on my nails and creates the best details. These brushes are high quality and specifically made for acrylic and watercolor paints, but also works well with nail polishes. Be sure to clean your paint brushes with acetone if you use nail polish or the brushes will be ruined. My favorite acrylic paint is the Liquitex 48 color pack. Acrylic paint can be used on nail design and its much easier to work with when creating intricate detail work. 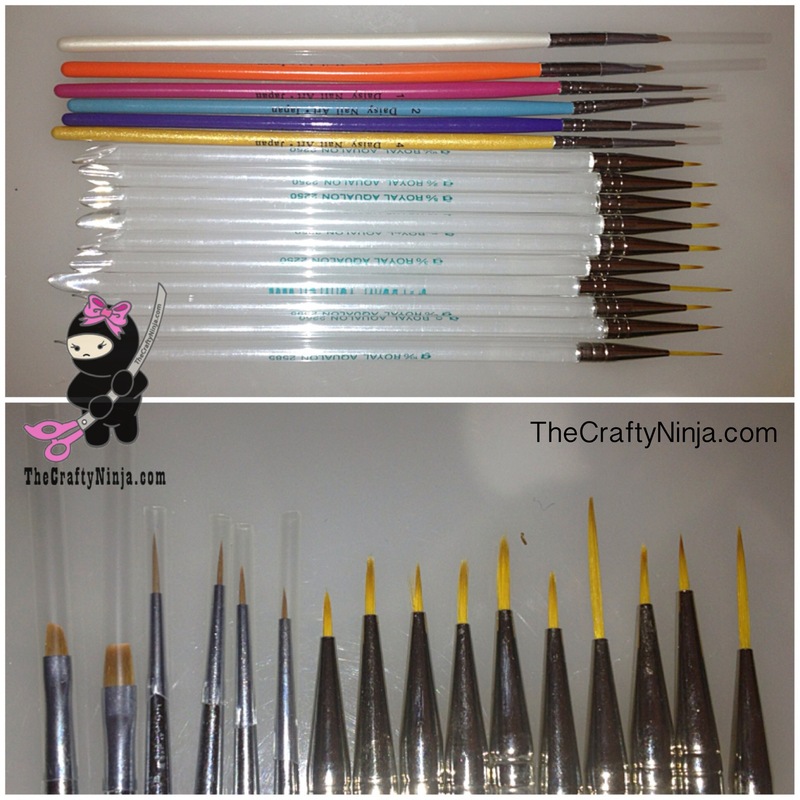 Check out my post on how I storage and organize my nail art brushes and tools here. Organization is key when doing nail art. Losing supplies can be costly and create a mess. If you have your things organized it’s easily to find and creates a sense of professionalism. A must have for nail design is a Nail Dotting Tool set, which you can create basic dot designs on your nails. I use my set almost every time I create my nail design. If you don’t have a dotting tool you can substitute with a toothpick or a pincushion to create the dots. These sets are so affordable so I strongly recommend you purchasing them. 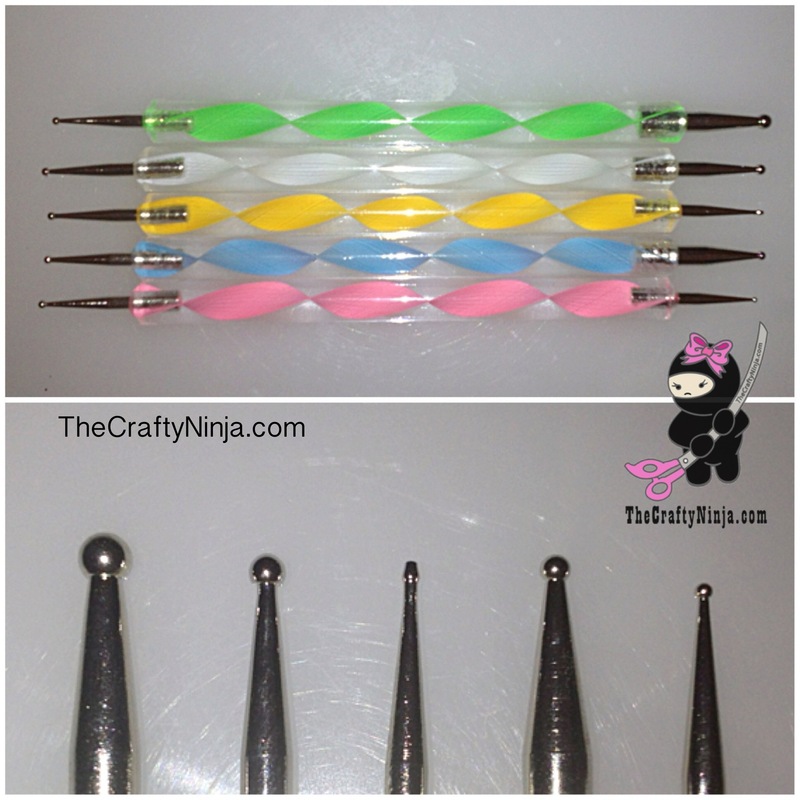 The Nail Dotting Tool comes in a set of five and the tip ends are double sided. Each ball point has a different size so you can create many sizes of dots or designs. Most of my designs are created with these tools or paint brushes. To add accessories and bling to your nails I use nail wheels. I have a variety so I can create endless designs. Nail Studs are currently the trendy edgy nail art accessory. This nail stud wheel has a variety of shapes: Squares, Diamonds, Triangles, Hearts, etc. and comes in a set with both gold and silver. Nail Rhinestones add that extra sparkle to your nail design. 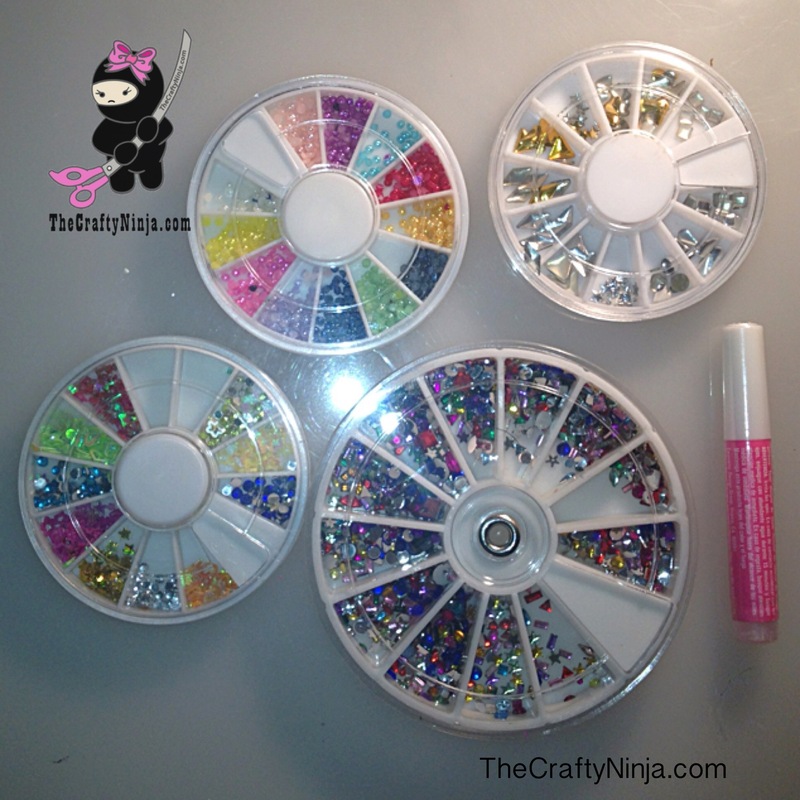 Variety of colorful rhinestones that can perfectly create a stunning sparkly design. Flat-back Pearls add a delicate and girly feel to your nails. Pastel color pearls perfect to extra feminine feel. Nail Glue to glue the accessories to your nails. Wax Pencil to easily pick up the small studs, rhinestones, and pearls. Mirco-beads/Caviar are small beads that give the look of caviar texture. It comes in a variety of color. The Martha Stewart glass mirco-beads set can be purchased at Michaels Art and Craft stores. Ciate Caviar Manicure also has a nail polish and caviar set. 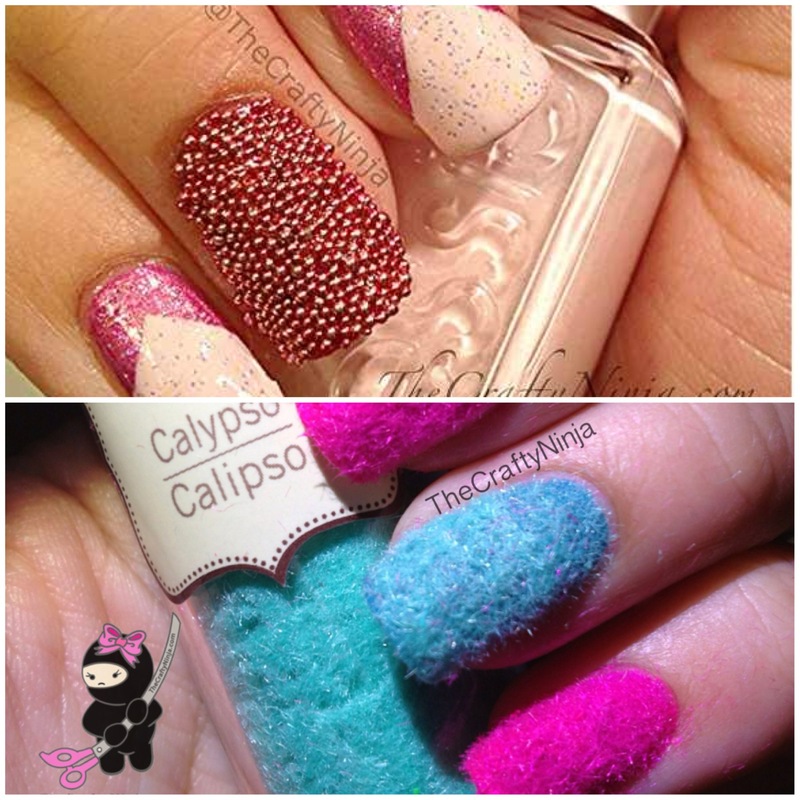 Flocking Powder/Velvet are fuzzy soft textures for your nails. Ciate Velvet Manicure set has the matching nail polish and flocking powder set. Current trend is creating nail design with texture. It’s a fun and creative way to have unique nails. These designs only last for about a day so it’s a one day nail design. To add more kawaii or cute decorations to your nails I use small 3D nail acrylics with Nail Glue. Polka Dot Bow- Cute bow accessory to put on an accent nail. Rose Flower- These pretty rose 3D acrylics are sweet romantic. It’s perfect to make your nails pretty and decorative. Pink Bow- My favorite is the Pink 3D Bow. So girly and cute! 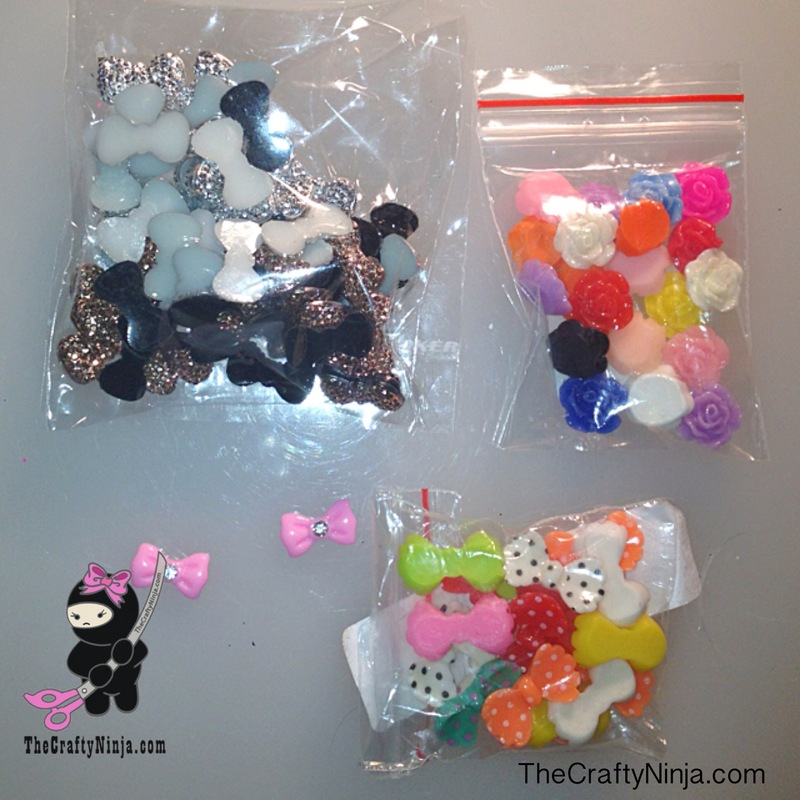 Nail Glue to glue the 3D acrylic accessories to your nails. Wax Pencil to easily pick up the 3D acrylic accessories. Last where I store my beloved nail polishes. 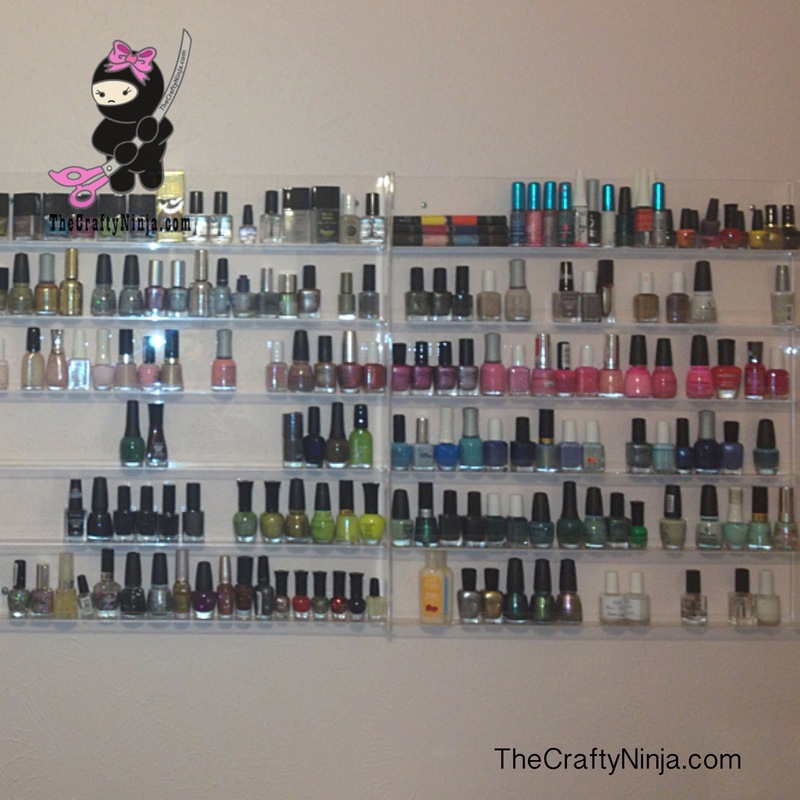 I love the look of displaying my nail polishes. I defiantly have my own personal nail salon. I have three Nail Polish Wall Racks and hopefully will not need another one soon because my wall no longer has any space. Each storage rack can hold up to 90 bottles of nail polish.